Vets are vital to achieving the UK Government’s post-Brexit vision for high animal welfare and food safety standards, says the British Veterinary Association (BVA) as it today launches a report setting out its key recommendations for the forthcoming Brexit negotiations. BVA’s ‘Brexit and the veterinary profession’ report, which has been developed through extensive consultation with BVA members, devolved branches, BVA specialist divisions and other key stakeholders, outlines the essential role that the UK veterinary workforce plays in not only caring for animals, but in enabling trade, ensuring food hygiene and safety, and undertaking cutting-edge research. Non-British EU veterinary surgeons are critical to the UK veterinary workforce. Around 50% of veterinary surgeons registering to practise in the UK each year come from overseas, with the vast majority of these coming from the rest of the EU. Yet one-fifth of vets are already reporting that it has become harder to recruit since the EU Referendum. • Guarantee working rights for non-British EU vets and veterinary nurses (VNs) currently working and studying in the UK, and for British vets and VNs working in the EU, at the existing level and with no time limit, to ensure the need for veterinary services can be met. • Maintain, and seek opportunities to improve, current animal health and welfare standards and prioritise them in all trade negotiations to ensure that a high standard of animal health, welfare and food hygiene is a unique selling point for the UK. • Commit to maintaining a single standard for meat produced for both domestic and export markets based on current standards of food hygiene legislation and enforcement, including veterinary certification and controls. • Negotiate to establish formal links with the EU on disease surveillance, to ensure reciprocal data sharing with Europe is maintained. • Guarantee the UK veterinary profession ongoing access to all existing veterinary medicines licensed through the EU regulatory systems in order to meet animal health requirements, whilst continuing to play a leading role in tackling antimicrobial resistance internationally. • Develop a regulatory and legislative framework to ensure the UK continues to be a globally attractive place for research and development (R&D). • Establish a body to oversee and coordinate animal health and welfare policy across the four administrations of the UK and facilitate partnership working between industry and government to tackle endemic disease and animal heath challenges. “Vets provide the foundation for the UK’s work on animal health and welfare. Veterinary teams up and down the country support the UK’s 11 million pet-owning households; not a penny of the UK’s £13 billion agri-food industry could be realised without vets; and we are an integral part of the international scientific community, annually bringing in over £50 million for research and development projects. “The veterinary profession is in a unique position from which to offer the next Government evidence-based policy recommendations to ensure animal health and welfare, public health and other standards are at the very least maintained as we exit the EU. 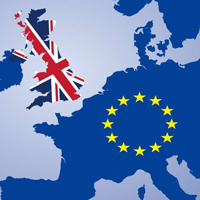 BVA’s ‘Brexit and the veterinary profession’ report was developed and written by the BVA Brexit Working Group, under the chairmanship of Alick Simmons, former UK deputy Chief Veterinary Officer, and was agreed by BVA Council in April. The report builds on BVA’s Brexit Principles, agreed by Council in September 2016, and covers seven far-reaching areas of public policy: veterinary workforce, animal health, animal welfare, food hygiene and safety, veterinary medicines, research and development, and trade. Two further sections of the report consider issues relating to devolution and to Northern Ireland’s unique position as the only part of the UK to share a land border with an EU member state. Recognising the importance of developing a strong lobbying position on behalf of the veterinary profession as a whole, BVA and the Royal College of Veterinary Surgeons (RCVS) have worked collaboratively to champion the profession’s interests in relation to Brexit. With a snap General Election due in five weeks’ time (8 June), BVA has produced a 20-point manifesto of key recommendations covering both Brexit and wider policy issues, which has been sent to the main political parties’ manifesto-writing teams and to BVA’s Honorary Associates. BVA’s ‘Brexit and the veterinary profession’ report and manifesto for the 2017 General Election are available at: www.bva.co.uk/brexit.